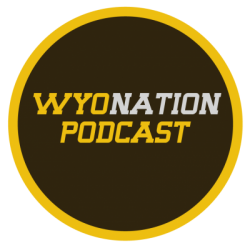 In this week’s episode of the WyoNation.com Podcast Brad and Chad talk about the Cowboys first two football games. They talk about what has gone right, what has gone wrong, and what has been a surprise so far this season. Brad and Chad also talk about what to expect from the Oregon Ducks coming to Laramie and their offensive weapons. The Cowboys will host Oregon on Saturday afternoon at 5pm. You won’t want to miss that game, nor our podcast! Listen to/download the pod with the player below, or listen on your mobile device via iTunes or Stitcher Radio.